Sunny Afternoon also benefits from travelling down the biographical route – rather than rifling through the band's back catalogue and shoehorning in a plot around the hits, the show tracks the Kinks' rise to fame in the rapidly changing Great Britain of the 1960s. It's got a lot more in common with Let It Be or the highly-lauded Jersey Boys than it does with Mamma Mia or the dismal We Will Rock You. 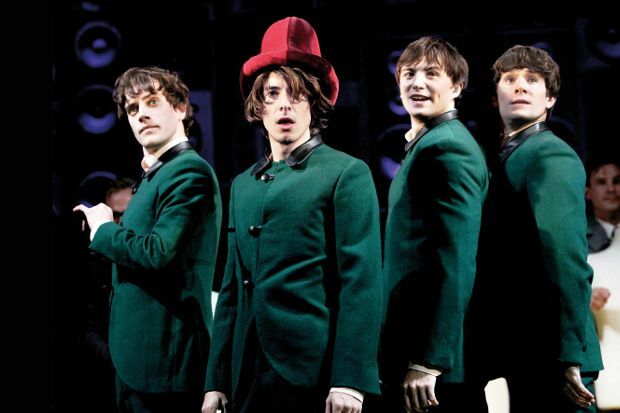 It picked up a slew of Olivier awards last year, including Best New Musical and an Outstanding Achievement in Music gong for Kinks frontman Ray Davies. The only negative thing to say about it is that it doesn't feature that sublime number, 'The Village Green Preservation Society', but you can't have everything. King's Theatre, Glasgow, Tue 11–Sat 15 Oct.
British singer-songwriter, Ray Davies, recalls his early life and the career of the eponymous pop-rock group, The Kinks, in this musical biography set during the 1950s and 1960s. Directed by Edward Hall.